PRIME Minister Peter O’Neill says there needs to be more investment in our airline industry. O’Neill said our reliance on air transportation was more than any other country and there must be support to build the industry’s capacity in providing services especially to remote areas. 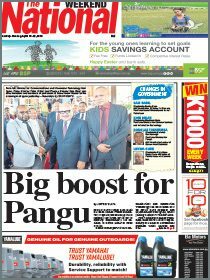 O’Neill attended the rebranding of Airlines PNG on Wednesday evening and conveyed the Government’s support for the industry. “We are blessed with many diverse and rugged terrains but that also makes it difficult for many other modes of transportation to access those communities,” he said. “That is why we need to continue to support the airline industry. “The government tries to subsidise this industry as much as possible within the confines of the limitations of funding that we have. 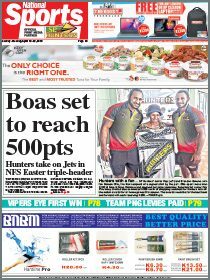 O’Neill said the Government had a long-term vision to make PNG the air transport hub of the Pacific. He said PNG was in a unique geographical position in the regional and global air transport market.